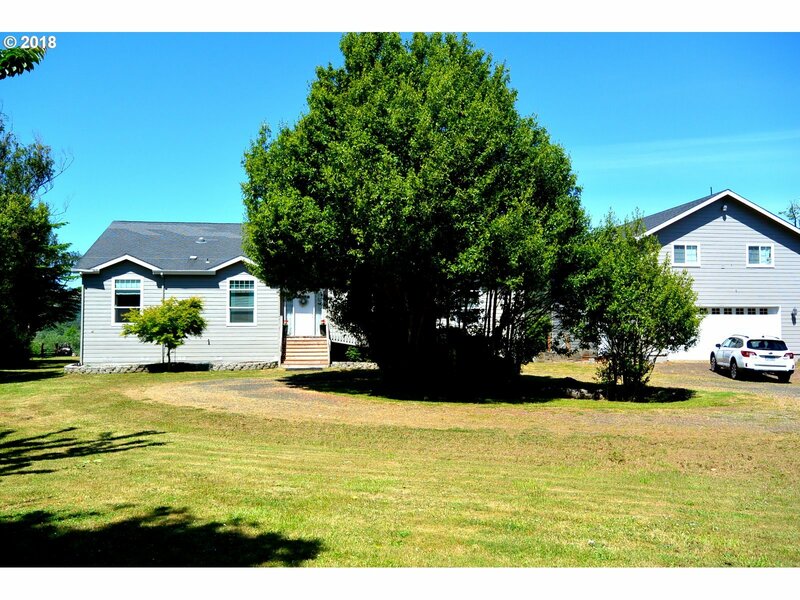 Single level waterfront front home on level acreage minutes from gold beach. A wonderful micro-climate away from the coastal fog and winds, fantastic soils, excellent privacy, municipal water and high speed internet.Oversized two car garage with finished second story storage rooms and a bathroom for possible ADU. Adorned with beautiful Myrtle wood and fruit trees. Gated access to your circular drive. Adj. 2.71 acre parcel for sale too!